Looking to volunteer abroad as a teenager? Projects Abroad offers a wide range of worthwhile placements in destinations around the world, open to those aged 15 and over. It’s a fantastic way to give back, while learning new skills, getting the chance to travel and meeting people from across the globe. Volunteer work experience can also be a great boost for your CV or UCAS application. We have a number of different options for you to choose from, depending on your interests and requirements. High School Specials: These are safe and structured group trips, designed for those aged 15 to 18. You’ll get to volunteer alongside people your own age, while exploring a new culture and making friends. These projects run for two, three or four weeks over the summer holidays. 19+ Specials: Based on our popular High School Specials, but designed for an older crowd, these are summer group trips for young adults aged 19 and over. Standard Projects: Most of our Standard Projects are open to those aged 15 and older, although some do have specific age requirements. These projects have flexible start dates and take place all year round, so you can choose when and how long to go for. Projects for Families: Under the age of 15? We offer family volunteering trips, where you can volunteer with your parents and siblings on one of our programmes. In general, our Care, Teaching and Sports projects work well for families, but feel free to explore our other options as well! 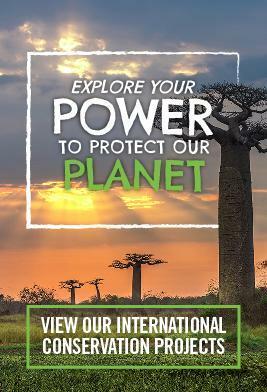 We take your safety very seriously, and as such each placement is fully researched, safety audited and risk assessed in accordance with the British Standard BS8848 for the Adventure Travel Sector. Projects Abroad also offer extensive pre-departure advice from our Volunteer Advisors, as well as 24 hour local staff support while you’re in your destination. With over 24 years in the business, we’re more than equipped to ensure you have a safe, worthwhile and enjoyable experience overseas. "During the summer I spent two weeks with Projects Abroad on a Care & Community placement in St. Louis, Senegal. 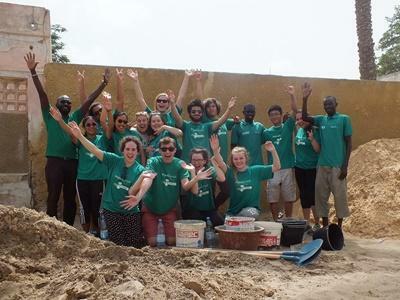 This high school special project was specifically designed for young volunteers, so we had more support and access to the Projects Abroad staff whilst abroad. This was perfect for me as it was the first time I traveled abroad by myself, and I was only 17." Feel free to give us a call on 021 671 7008 or send us an email to info@projects-abroad.org.za – one of our friendly Programme Advisors will be happy to answer any questions you might have.